Absolutely stunning Brenda, I love everything about this!! The wrapped journal is one of my favourite Eileen dies, and you have made this one into a real treasure, stunning work all round my friend, - love it!! 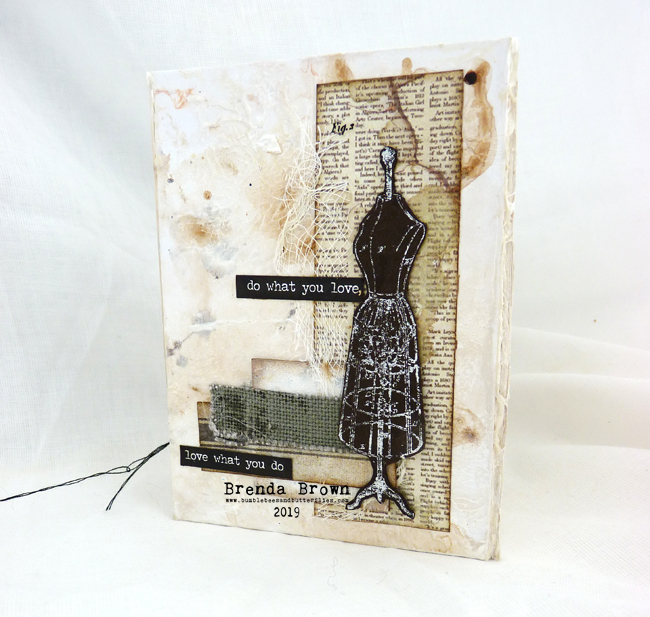 This is absolutely delightful, Brenda - from the mottled background (yum!) 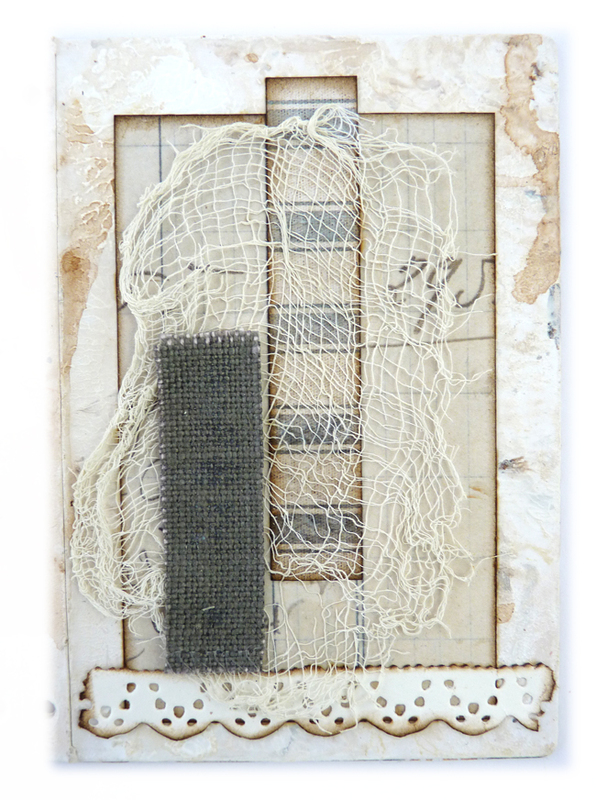 to the perfect layered collaging, and those stitches add just the right touch of finishing texture. Completely lovely! 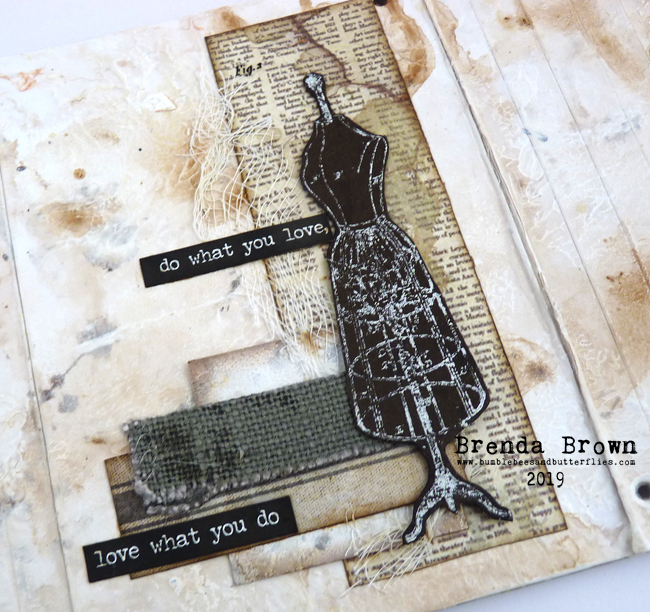 Beautiful use of neutral tones here on your wrapped journal cover, Brenda! 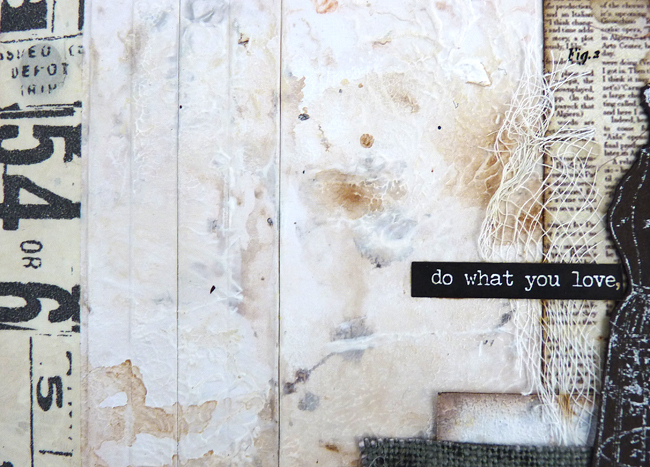 Your textured, subtly colored background makes for a wonderful base to layer all those ephemera and textile elements. 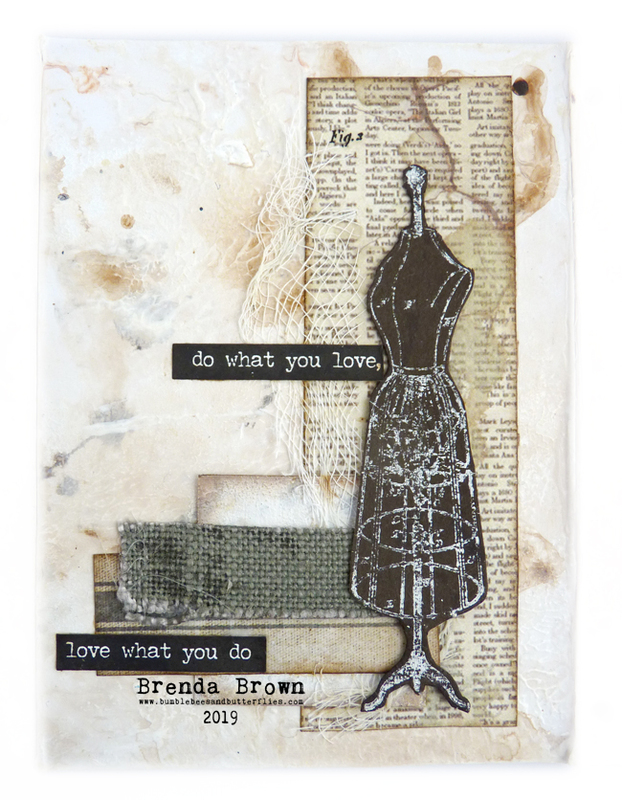 Your collages always catch my attention; you have a great eye for layering bits and pieces! 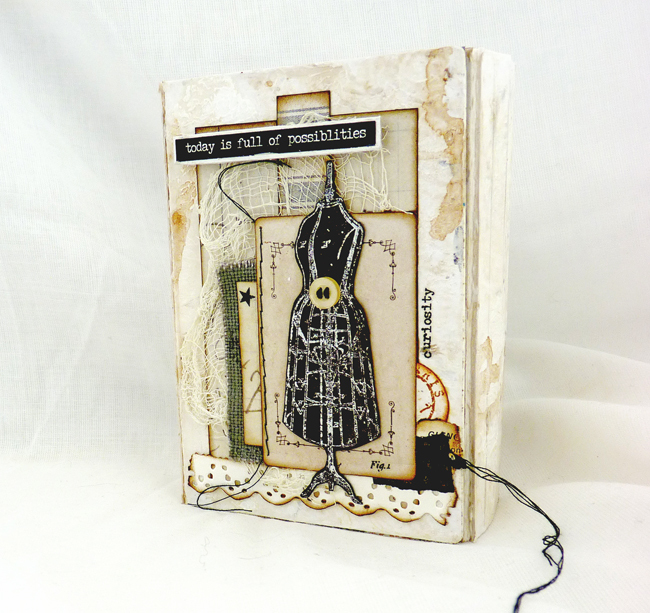 I love how you've stamped the dress forms in white paint; a very dramatic finish to this journal along with the stitching! Wonderful project! Hugs! Gorgeous mini!! LOVE the neutral tones and the wrapped journal!!! A*M*A*Z*I*N*G !!! Gorgeous with the neutrals and layering! 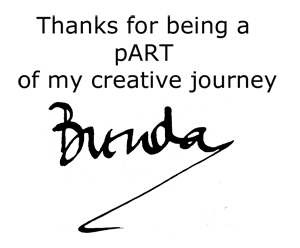 Pure delight dear Brenda! 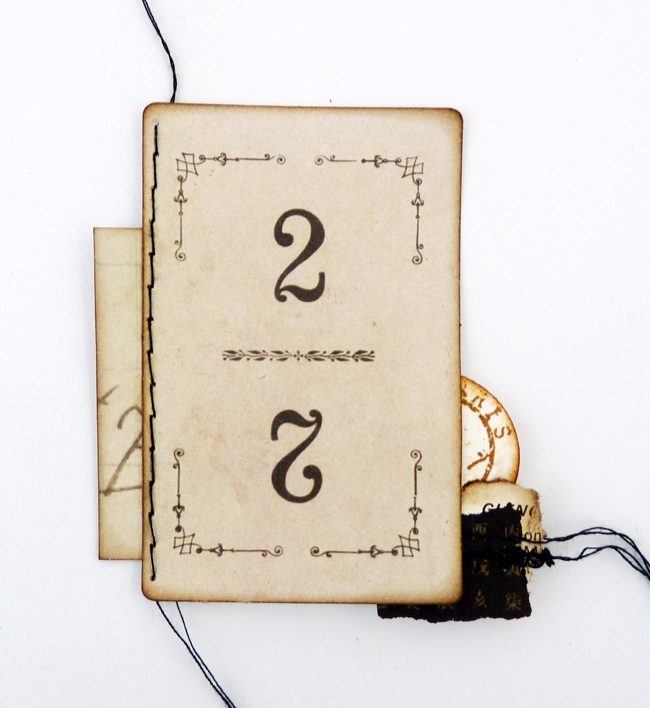 Fabulous covers for your new journal, its going to be an awesome project as you add more pages. Brenda i'm so glad you took time out for yourself to create a piece including everything you love, it speaks out in design and those chosen words. I too love everything haberdashery so this really does sing to me. Love how you used the varnish to protect the first layers it makes those neutral washes sit exactly where you want them too. Perfect choice of embellishment all wrapped kindly together. A lovely piece to keep and cherish. Thank you for sharing this beauty with us. Such a gorgeous and original make. . Love the theme too. 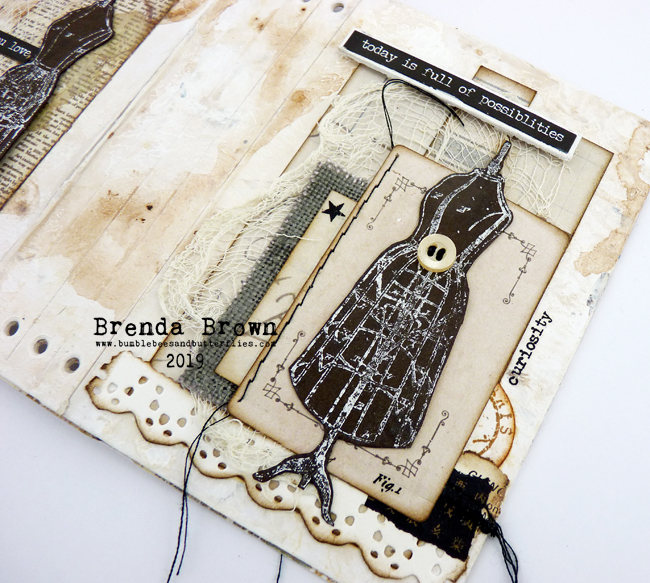 What an absolutely fabulous jounral Brenda, So Striking with the darker tones against the lighter tones . Love the marbling affect covering the exterior and your well chosen and considered elements are collaged superbly- as is always the case. I hope you enjoy filling it with your beautiful pieces of creativity. 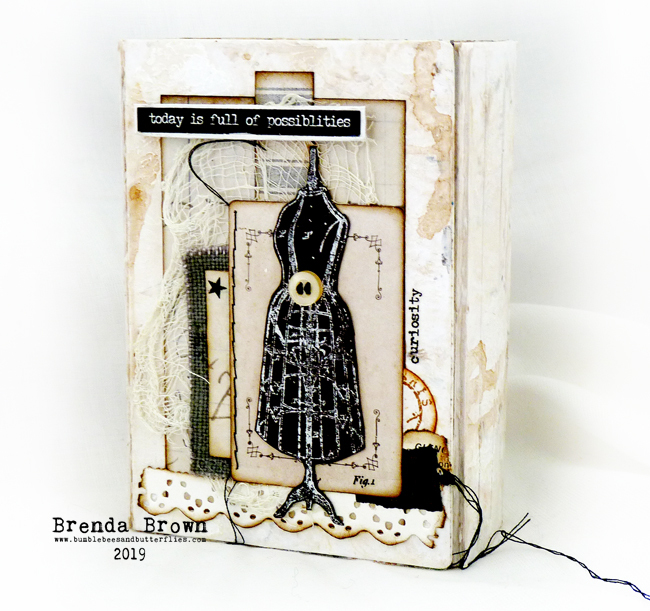 Beautiful journal covers Brenda, like you I love anything sewing themed, but rarely make them myself. 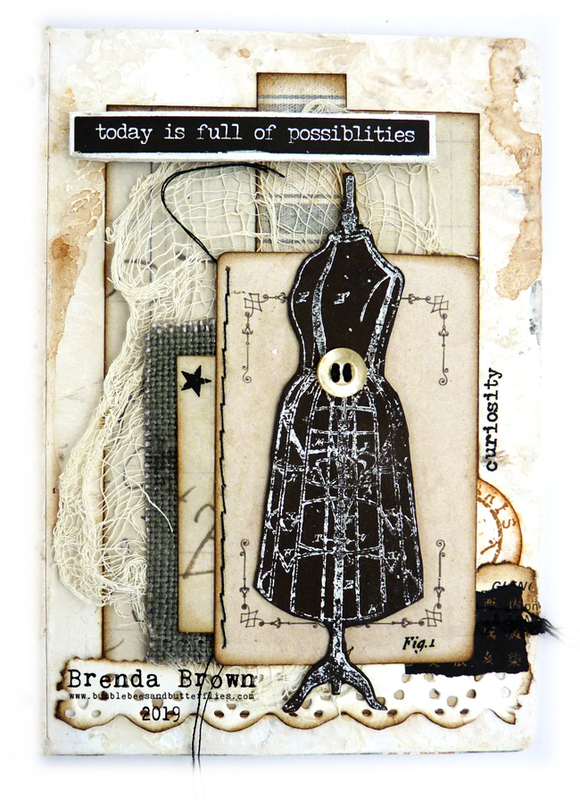 Love the layered ephemera in those neutral tones making the darker dress form stand out. Hope you share some the inside pages later.